Brooke Amy Richardson's family posted this on Facebook as a reminder to people not to text and drive. Brooke died after her car hit a tree. Hey girl, R U texting your way to an early grave? I AM sick of seeing young drivers on mobiles at the wheel. It seems not a day goes by when I am not waiting at traffic lights watching someone texting or talking on their phone, continually looking up and down to see when the lights change. What's even more frightening is some of them continue to talk and text while they are driving. Yesterday, I watched as a woman in a little white sedan with bright pink number plates, happily chatted away with one hand on her pink phone and one hand on the wheel. She went through no less than six traffic lights, chatting away, waving her phone in the air for all to see. Then as we pull onto a 100km/h motorway, she overtakes me. And she's still talking - with one hand on the phone - and one hand on the wheel. She probably didn't even notice how wildly she weaved into the next lane as she gestured to her friend on the other end of the call. Having been to no shortage of fatal crashes, I must say at that very moment I wanted to ram her car and get her off the road. She was no less dangerous than a drunk at the wheel. If she wants to kill herself, fine, but too often idiots like that take out other people as well. I pulled over in the emergency lane and phoned police with her details. Only a few days earlier, I had watched another driver, again a young woman, texting as she stopped at every light. As her moronic behavior continued through roundabouts, I flashed my lights at her to try to highlight the stupidity of her behavior. Instead, she pulls in behind me and starts flashing her lights as me as if I have violated her fundamental right to text and drive. I was left wondering what would have been so urgent that she needed to reply that instant. I admit I am no saint when it comes to driving. I have answered calls without my hands free on in the past. And I love to check my Facebook updates like anyone. But when I am driving, I know that it's the little distractions that see you, or a loved one, in a zipper bag. 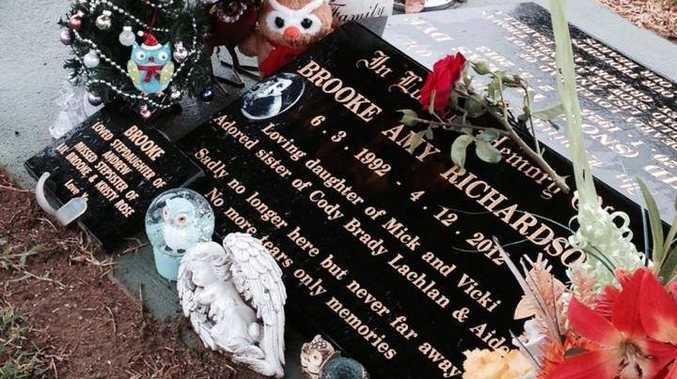 If you think that's overstating it, talk to the family of Brooke Richardson. The 20-year-old died when her car hit a tree. The P-plater's mobile phone showed she was texting just moments before the crash. Her story is a sobering reminder that no message or call is that urgent.